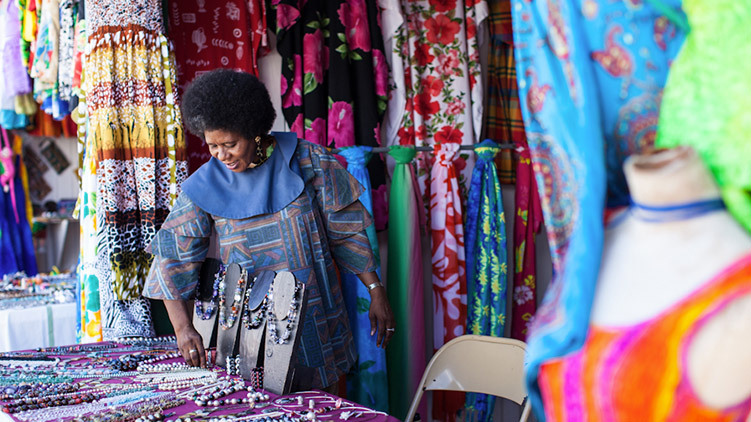 Shopping in St. Kitts will exceed expectations with a host of locally made crafts to purchase as a special gift for your home or loved ones. 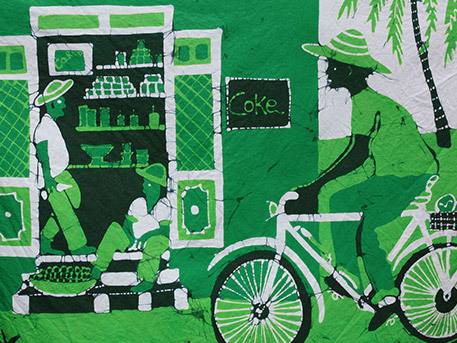 Shop for popular batik prints, locally designed clothing, unique Kittitian art and beautiful island gifts sold at the many boutiques and craft shops that line the streets of Basseterre. A stroll through the Amino craft market at Port Zante provides a first glimpse of some of the island’s artisans at work. Browse an eclectic mix of hand-crafted pottery, accessories, painting, natural homemade soups or oils, souvenirs and leather goods. 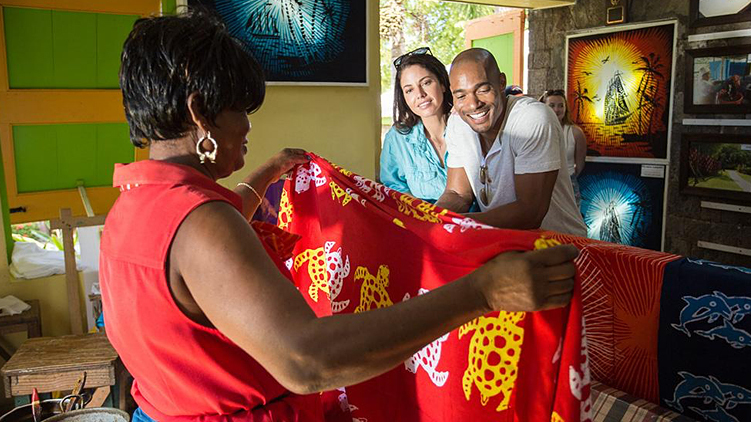 Shopping in St. Kitts is not complete without a visit to Caribelle Batik where you can pick up a variety of Batik apparel and décor, all hand-painted by a local artist. Art lovers can visit Rose Cameron Art Gallery on North Independence Square and DALE Original Art & Style gallery that carries fine art, sculpture, jewelry and glassworks from several artists who are members of its local art collective, iFlamboyant. Whether you pick up a unique piece from the Craft House, indulge in luxury shopping at Christopher Harbour, Pelican Mall or TDC Mall or hit the duty free shops at the Circus, shopping St. Kitts is a must-do. And don’t leave without purchasing a "a bite of Sugar city" guava cheese, tamarind balls, coconut fudge and of course one of our many flavours of local rum.